Calling all poets, writers, singers and musicians. We are looking for great talent. 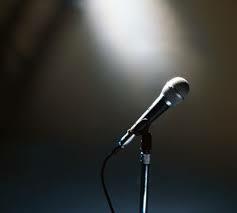 If you are interested in performing at our Open Mic Night on Thursday, Nov. 6, please contact Ms. Katrina Johnson at Katrina.johnson@cpcc.edu. or stop by Central High, Room 120. Deadline to sign up to perform for the event is Tuesday, Nov. 4.